The Trump administration is pursuing a deal to sell nuclear reactors to Saudi Arabia despite the kingdom’s refusal to accept the most stringent restrictions against the proliferation of nuclear weapons, U.S. officials say. Saudi Arabia’s nuclear energy ambitions could open a new market worth tens of billions of dollars, drawing countries including Russia, South Korea and China to compete for the business. Administration officials consider it too important to overlook, especially when the U.S. nuclear power industry is on the decline. But Saudi Arabia’s resistance to the toughest proliferation controls—a ban on enriching uranium or reprocessing spent fuel—already is stirring concern among U.S. lawmakers, who must review any accord to transfer U.S. nuclear technology, known as a 123 agreement. The nuclear fuel cycle offers two routes to build a weapon, one using enriched uranium and one using plutonium. Civilian and military nuclear programs both start with unrefined uranium. Centrifuges isolate the part of uranium that is suitable for nuclear fission. Civilian power reactors require uranium enriched to 3% to 5% purity. Spent fuel from power reactors can be reprocessed to extract plutonium that could be used in making nuclear weapons. 90% enriched uranium is needed to produce nuclear weapons. The impending debate has confronted the administration with a dilemma: If it lowers standards in the hope of securing the Saudi deal it will spur criticism about its commitment to fighting proliferation. Critics of reducing standards say it will send a signal at a time more countries across the volatile region aspire to acquire nuclear technology. But supporters of a deal with Saudi Arabia argue there are other ways to address nonproliferation concerns and that if the U.S. isn’t willing to sell nuclear technology, other nations will. The kingdom is playing competitors, especially the U.S. and Russia, against one another. Russian Energy Minister Alexander Novak visited Riyadh on Wednesday, meeting Saudi King Salman. U.S. Energy Secretary Rick Perry visited in the autumn, and 17 U.S. companies, including Westinghouse Electric Co. and Exelon Corp. , followed. Formal talks on the reactor sale are expected to start in coming months. Saudi Arabia has abundant sources of energy, and some analysts question whether nuclear power would be cost effective. It can expand its capacity for solar and other renewable power, and can tap huge natural-gas reserves to phase out oil, said Ali Ahmad, the director of the energy policy and security program at the American University of Beirut. “The kingdom does not need nuclear power,” he said. Saudi officials say they want to diversify their fuel sources and can make more money exporting their crude rather than burning it for power. But while the Saudis insist their program will be peaceful, they have refused to rule out the right to enrich uranium. They have pointed to their archenemy Iran’s ability to enrich uranium as part of the 2015 accord aimed at preventing Tehran from producing nuclear weapons. That has stirred speculation that one purpose of the Saudi nuclear program is to compete with Iran’s nuclear technology and perhaps even preserve an option to develop nuclear weapons. “I think that the Saudis legitimately believe that a nuclear power program is an essential element of their political competition with Iran, if not their strategic competition with the country,” said Richard Nephew, of the Center on Global Energy Policy at Columbia University. During the George W. Bush administration, U.S. officials negotiated a 123 agreement with the United Arab Emirates that precluded that Gulf state from enriching uranium or reprocessing spent fuel to produce plutonium, essential steps in producing nuclear weapons. President Barack Obama later submitted a new version of that deal to Congress, saying it had the potential to serve as a “model for other countries in the region.” The U.A.E. subsequently purchased four reactors from South Korea, which incorporated U.S. technology. That assurance become known as the “gold standard,” and some U.S. nonproliferation supporters argue it should become the norm for the region. A provision in the agreement also allows the U.A.E. to ask for a reconsideration of the “gold standard” if the U.S. sells nuclear technology to other Middle East nations under less strict standards. The Trump administration has yet to publicly detail its position on Saudi Arabia. But officials say that a 123 agreement with Riyadh that didn’t incorporate the gold standard still could provide important safeguards, including restrictions on enriching U.S. supplied nuclear material without its approval. The U.S., they signaled, also will press Saudi Arabia to accept a special protocol on nuclear safeguards, as Iran has done, so that the International Atomic Energy Agency can carry out on-site inspections if suspicions arise. If the U.S. insists on the U.A.E. standard, the Saudis may simply buy reactors from Russia or China, who don’t demand such stringent protections. Ernest J. Moniz, who served as Energy secretary during the Obama administration, said it is possible to devise a strong 123 agreement that doesn’t include “gold standard” restrictions. The kingdom, he suggested, could be supplied with low-enriched uranium for its reactors, and have its spent fuel removed, in return for a promise not to enrich uranium or reprocess spent fuel. The agreement might last a decade or more and then could be renewed. But critics say that would merely delay, and not resolve, the problem. “We would be saying ‘later’ instead of ‘no’ to something we shouldn’t allow at all,” said Henry Sokolski of the Nonproliferation Policy Education Center. The Saudis aim to complete the first step—awarding contracts for two reactors capable of 1 to 1.6 gigawatts—by year’s end. It is the beginning of an ambitious plan to construct 17.6 gigawatts of nuclear capacity by 2032—enough to power over 12 million Saudi homes. The ultimate goal, which some analysts doubt Saudi Arabia will achieve, is to build 16 reactors at a cost of some $80 billion. 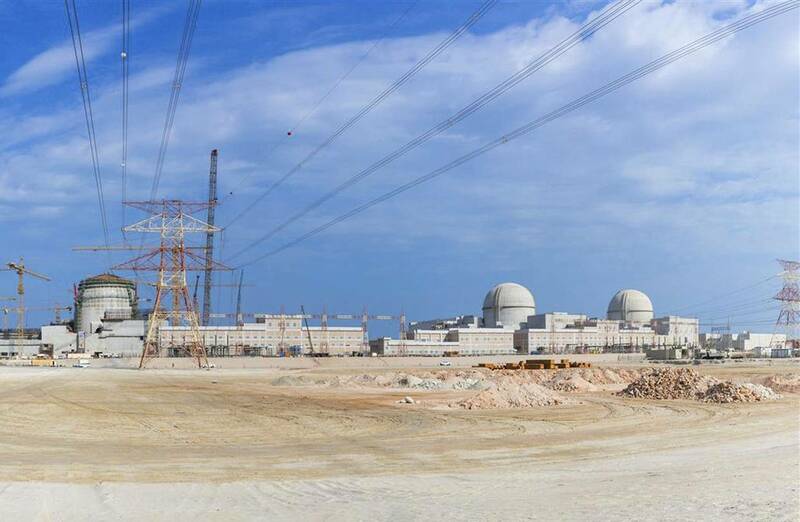 Other companies talking to Saudi Arabia about nuclear technology include South Korea’s Korea Electric Power Corp. , France’s EDF Group and China’s General Nuclear Power Group. Many of the competitors, including Russia, are state-backed enterprises, making it especially difficult for the U.S. entrant, Westinghouse. The company is in bankruptcy, stung by a series of delayed, over-budget and failed projects in the U.S. and abroad. Canada’s Brookfield Business Partners LP is spearheading a deal to buy the troubled company’s assets, but it is uncertain how much funding Brookfield will put into the business and what parts it will keep open. State-backed firms, by comparison, have higher, more assured capacity for multibillion-dollar financing deals, and sometimes are even subsidized. Even if Westinghouse wins the project, some of the billions in the deal won’t go to the U.S. economy. The company’s headquarters and design work are based in Pittsburgh, but the heart of its reactors often are built overseas in places like Japan and South Korea, and its supply chain is global, analysts said. Despite that, U.S. officials have urgent reasons to pursue the deal as a way to boost its domestic nuclear industry. Once an innovator and world leader, the U.S. nuclear industry is beset by competition from natural gas, solar and wind power at home, and frequently outbid by rivals abroad. The Saudi project is one the few remaining globally that could sustain a nuclear business, with decades of work servicing and refueling new reactors, and it would be an “embarrassment” if the U.S. gets left out, said Chris Gadomski, head of nuclear research at Bloomberg New Energy Finance. —Benoit Faucon in London contributed to this article.